The CData JDBC Driver for QuickBooks enables standards-based access from third-party tools, from wizards in IDEs to data management and analysis tools. This article shows how to connect to QuickBooks using wizards in RazorSQL. 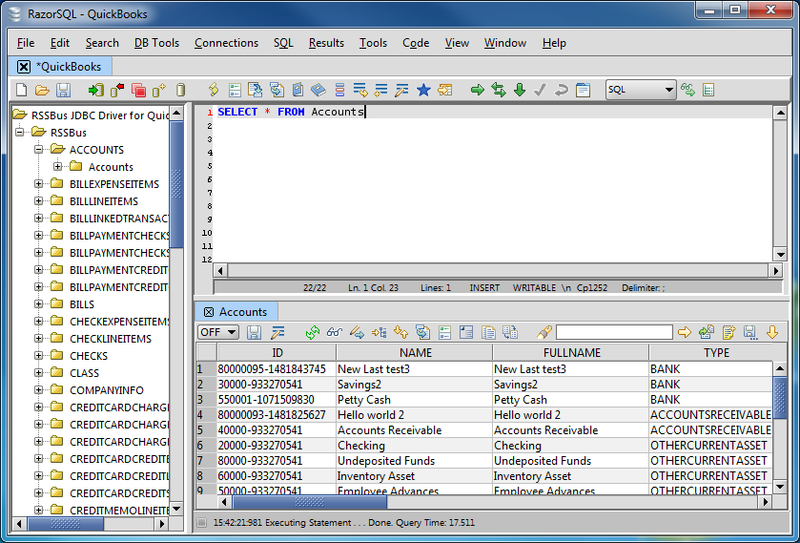 Open the RazorSQL application and, in the Connections menu, select Add Connection Profile -> Other -> JDBC. Driver Location: Set this property to the path to the lib subfolder in the installation directory. 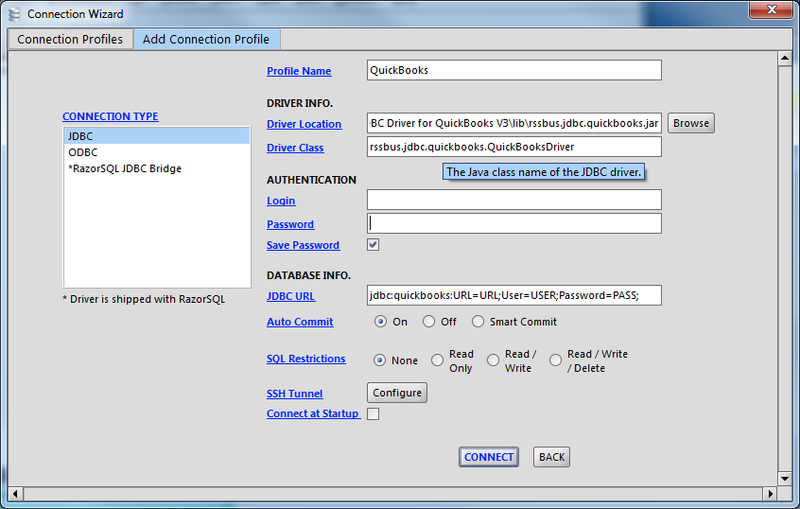 Driver Class: Set the driver class to cdata.jdbc.quickbooks.QuickBooksDriver. After establishing a connection, the wizard will close and the connection will be available in the connections panel. You can then query the tables.